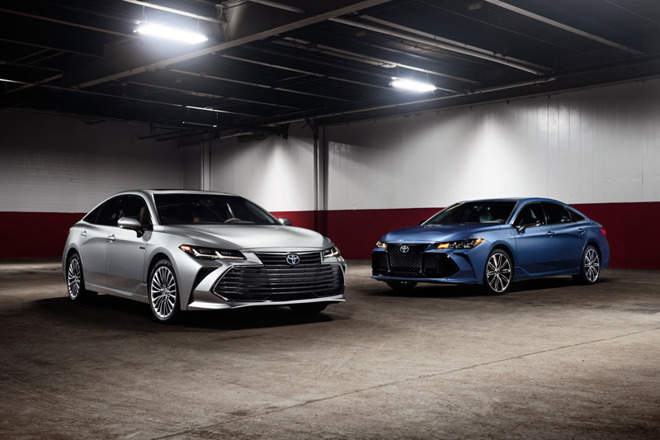 Perhaps the longest major CarPlay holdout, Toyota on Monday announced that it will be bringing the platform to the 2019 Avalon, as well as other vehicles in the 2019 model year —including some from its luxury Lexus brand. The new Avalon is shipping this spring, and will have CarPlay standard on all trims, Toyota said in a press release. The interface will display on a 9-inch touchscreen. Unusually, while Android Auto support hasn't been announced, the car will also support some remote control functions by way of smartwatches and Amazon Alexa, such as starting the engine, locking and unlocking doors, and gauging fuel levels. CarPlay will require Toyota's Enform 2.0 or Entune 3.0 multimedia systems, a spokesman told MacRumors. In theory that could allow the technology to appear on some 2018 models such as the Camry and Sienna, but so far the company has only confirmed 2019 model support. Drivers will moreover have to use a wired iPhone connection, rather than wireless. In 2015 Toyota infamously declared that it intended to stick with proprietary platforms for the foreseeable future, even as other automakers were preparing or already adding CarPlay. Apple's software began picking up traction in 2016 and is now on numerous vehicles, though availability on low-cost models remains an issue.